My recently-published estimate of the federal costs of Medicare for All (M4A) continues to receive widespread public and press attention. 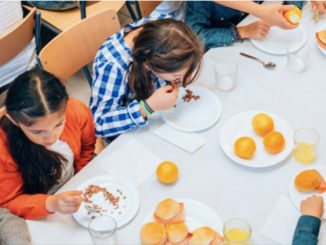 The ongoing discussion has prompted a number of common questions about the study, which this article attempts to answer. Q: Does the estimate account for what the federal government is already spending on health care? A: Yes. 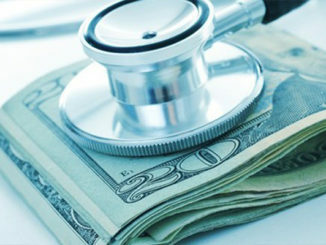 The study’s federal cost projection of $32.6-$38 trillion over ten years is an estimate of additional federal health care obligations, above and beyond current federal expenditures on programs such as Medicare and Medicaid, as well as current tax code-based subsidies such as those for employer-sponsored and Affordable Care Act insurance policies. Total federal costs under M4A would be substantially greater ($54.6-$59.9 trillion) than the study’s projections of the additional federal costs alone. Q: How much would the M4A bill cut payments to providers? A: The M4A bill specifies that health care providers would be paid at Medicare payment rates, which are substantially lower than those paid by private health insurance. The study analyzes the projected results of this specification, explaining its problematic implications for patients’ access to care, the unlikelihood that such drastic cuts would be immediately implemented as written, and the fiscal outcomes if they were not. The CMS Medicare actuary documents (see Figure 1 in the memo) that hospital payment cuts would average roughly 40% at first, and grow steeper over time, for treating patients now covered by private insurance. Assuming M4A is fully implemented by 2022, physicians would initially be reimbursed at rates averaging about 30% lower than they would have been paid by private insurance, and those cuts would also grow to exceed 40% within the first ten years (see Figure 2). Because all providers would be reimbursed at Medicare rates, this would (obviously) not mean payment reductions for services already covered by Medicare. The study also explains that the imposition of Medicare payment rates would produce a temporary increase in payments for physician services now provided through Medicaid, but those too would eventually turn into net payment cuts and become more severe over time. Assuming M4A is fully implemented by 2022, physicians would initially be reimbursed at rates averaging about 30% lower than they would have been paid by private insurance, and those cuts would also grow to exceed 40% within the first ten years. Q: Does the cost estimate reflect a particular policy perspective, or is it generally in line with others? A: Credible studies of M4A’s costs tend to produce qualitatively similar results. My estimates are generally in line with those generated by other experts spanning a wide range of affiliations and policy views. Such differences as there are arise primarily because different studies examine different years, and because studies that were completed prior to the M4A bill’s introduction needed to make speculative assumptions about provider payment rates and long-term care provisions. Q: Would eliminating private health insurance profit and administrative overhead produce enough savings to finance the coverage expansion under M4A? A: No. The study makes a very aggressive assumption for national administrative cost savings ($1.6 trillion over ten years) under M4A. Nevertheless, these potential savings are but a fraction of the projected additional health spending M4A would precipitate by covering the currently uninsured and by expanding the scope and generosity of coverage for the currently insured ($5.7 trillion). Q: Aren’t we paying for most of these costs already, in other ways? Even if Americans’ federal taxes had to rise to pay for M4A, wouldn’t they save money on the other end by no longer having to pay for things like employer-provided health insurance out of their take-home pay, state-funded programs, and out-of-pocket health care expenses? A: Yes, and the study discusses these offsetting effects. But while Americans are already shouldering the vast majority of these costs in other ways, it does not necessarily follow that they would be comfortable with transferring virtually all these personal and societal resources to the federal government to redistribute in the form of health benefits. Among other considerations, there is the sheer magnitude of the change, which would expand federal government obligations to such an extent that even doubling all projected federal individual and corporate income taxes could not adequately fund it. The federal government also has yet to demonstrate it can successfully finance the future budget commitments scheduled under current law, let alone added costs of this unprecedented magnitude. How Americans may weigh these various considerations is beyond the scope of the study. While Americans are already shouldering the vast majority of these costs in other ways, it does not necessarily follow that they would be comfortable with transferring virtually all these personal and societal resources to the federal government to redistribute in the form of health benefits. Q: Did your study find M4A would reduce national health care costs by $2 trillion over ten years? A: No, as various fact-checking articles have pointed out. This is made clear by contrasting the specific language and findings of the study with the claim of $2 trillion in savings. More specific details are provided below, but the correct reading of the study is that such savings would be highly unlikely to materialize. The study’s purpose was to produce a federal budget cost estimate, this being a critical factor that would guide legislative procedures in the event lawmakers attempt to enact M4A. The study included a federal cost estimate of $32.6 trillion over ten years, emphasizing repeatedly that this was a lower-bound estimate and that actual costs would likely be substantially greater (to further illustrate this potential variance, the study also included a $38.0 trillion estimate). The following quotes from the study are representative of how the $32.6 trillion figure is presented. The study contains other passages detailing some of the reasons why the $32.6 trillion figure likely represents a substantial underestimate: “The adoption of Medicare payment rates would represent a substantial reduction in provider reimbursements for care provided to everyone now covered by private insurance. 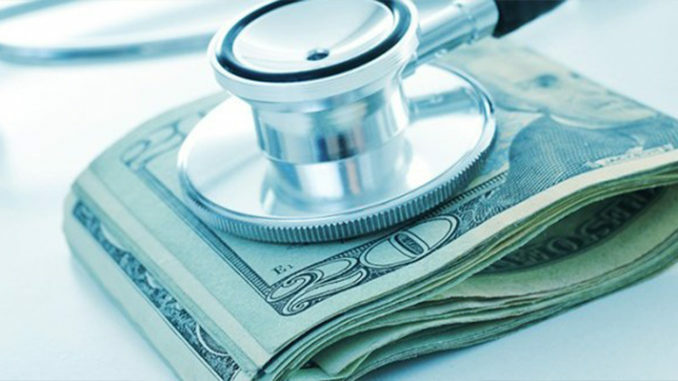 . . it is not precisely predictable how hospitals, physicians, and other health care providers would respond to a dramatic reduction in their reimbursements under M4A. . . by 2019, over 80 percent of hospitals will lose money treating Medicare patients—a situation M4A would extend, to a first approximation, to all US patients. Perhaps some facilities and physicians would be able to generate heretofore unachieved cost savings that would enable their continued functioning without significant disruptions. However, at least some undoubtedly would not. . . . Anticipating these difficulties, some other studies have assumed that M4A payment rates must exceed current-law Medicare payment rates to avoid sending facilities into deficit on average. . . the resulting cost estimates would be substantially larger” (pp. 10-13). Perhaps some facilities and physicians would be able to generate heretofore unachieved cost savings that would enable their continued functioning without significant disruptions. However, at least some undoubtedly would not. Some M4A proponents are hopeful that having the federal government take on this enormous cost burden might produce a broader societal benefit of a net reduction in national health spending, and have sought accordingly to convert the study’s federal cost estimate into an estimate of national health expenditure savings. However, if the study’s framing were to change from a cost estimate to a savings estimate, then all of the study’s other descriptions must also flip accordingly. The lower-bound cost estimate would become an upper-bound savings estimate, and the study’s finding that “the actual cost of M4A would be substantially greater” would become a finding that “actual savings would be substantially less.” Such accuracy is especially important in this context, for the study makes clear that total national health spending under M4A would be much more likely to increase than to decrease relative to current law. This can be seen by noting that the $2 trillion in proponents’ hoped-for national expenditure savings could not be achieved without more than $6 trillion in provider payment cuts and drug price reductions – savings the study describes as uncertain at best. Of course, none of this should inhibit M4A proponents from exercising their prerogative to believe and to argue that M4A can achieve net national cost savings — to argue, in effect, that the best-case fiscal scenario of massive provider payment cuts and drug price reductions would actually come to pass – providing of course that this conclusion is not attributed to the study. The study states throughout that actual costs of M4A would likely be substantially greater, in which case the purported $2 trillion in savings would not materialize. I hope that these answers and clarifications further public understanding of the estimated costs of M4A.